Custom screen printed/embroidered promotional american apparel long sleeve t shirts at Stitchy Lizard in Toronto, Ontario & Montréal, Québec. We now carry an extensive line of sweatshop-free American Apparel t-shirts suitable for both screen printing and embroidery. With more than 80 colours to choose from you cannot go wrong with American Apparel. American Apparel offers fabrics that are softer and higher in quality creating superior screen printing results. With a youthful cut offered in men, women, youth, and baby sizes, most garments fit snug to flatter the body. 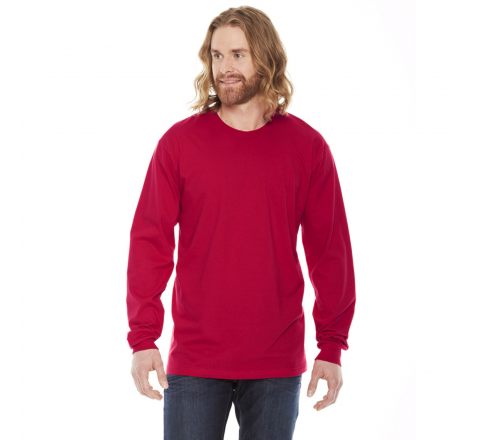 American Apparel offers the most diverse range of styles and colours suitable for your custom designs. American Apparel T-shirts are perfect for corporate events, trade shows, custom designs, bachelor/bachelorette parties and much much more. 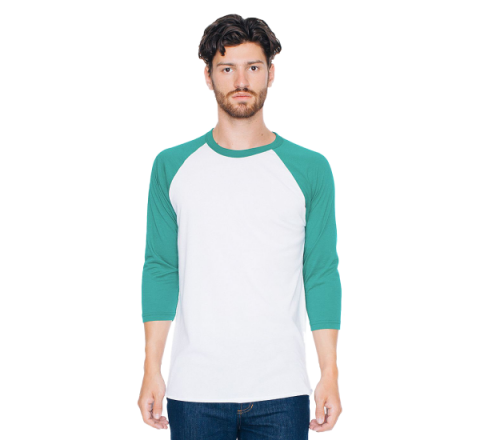 Get your design seen in style with American Apparel!